It’s become in my mind like Nietzsche and the horse. It’s Isaiah Berlin and the policeman. With Isaiah the startling event took place in childhood, not on the threshhold of extinction, and it happened to an utterly different kind of man, and quite a different style of philosopher. (Indeed, can the same word really be used to describe them both?) I’m gripped by it, all the same. Nietzsche gets under the skin of almost anyone who has ever hoped that art could change the world, or at least change us. The art of life the Greeks taught Nietzsche reinvented as self-overcoming and the science of joy. The years I spent writing Nietzsche in Turin were steeped in that self-overcoming. My publisher put the best cover on that book Nietzsche has ever warranted. Isaiah, by contrast, was an English political liberal in his day who seems conservative today; and yet not quite, because of that sense he had of the incommensurability of plural cultures, all with equal claim to the ‘truth’ in their own terms. He stated one of the problems that besets peaceful global coexistence in the century after him: the competition over ‘values’. ‘We’, whoever we are, are not obviously going to win the battle for ‘our’ values about which politicians have been talking for the last twenty years. On the other hand perhaps there needn’t be a clash. Indeed there must not be. Isaiah’s point was that violence is repugnant, and rational argument can show why. He was a child when violence broke out on the streets of St Petersburg during the Revolution of February 1917. Something in his character, a love of peace and perhaps also a certain timidity, was formed by that upheaval that ousted the Tsar and paved the way for Lenin’s return. Three years after the Bolshevik Revolution in October 1917, Berlin’s parents would leave with him to begin a new existence in England. Absorbed painlessly into the upper middle class, he would become the clever Jewish exile and the Oxford philosopher, also a compulsive socialite in the super echelons. Yet he was never quite like the others, because of his Russian origins, his Russian language, and by virtue of what he remembered. Isaiah left several accounts of an event that other contemporaries of the Russian Revolutions also seem to have remembered, or they witnessed something similar. This image for instance was recently used by the New York Times when, in excavating its archive for educational purposes, it revisited its reporter’s story from March 8, 1917. (In February 1917 Russia still used the Julian calendar. 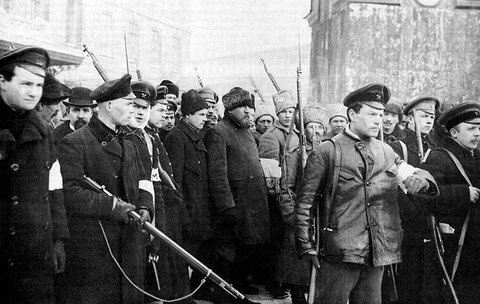 On the Western calendar the February revolution happened in March.) The image shows, as the caption suggests, armed protesters surrounding an arrested tsarist policeman, as momentum built against the autocrats who had ruled Russia so cruelly for three hundred years. After the downfall of the Romanovs and the formation of a Provisional Government under Prime Minister Alexander Kerensky the times were unstable, with vociferous popular demand for bread and an end to war with Germany. A stunning eye-witness account of Russia’s revolutions of 1917 was compiled by a civil servant, and literary editor, Nikolai Sukhanov. And it’s to Sukhanov I turn now for a ‘solution’ to the question of Isaiah and the Policeman. 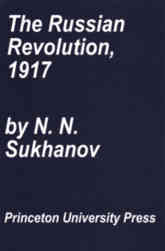 Describing ‘The March Overthrow 23 February – 2nd March 1917’ in hisZapiski o Revolyutsii, ‘Notes on the Revolution’, Sukhanov wrote that in the first two days of unrest ‘the city was full of rumours and a feeling of disorder…by their standards people at the time experienced many tens of incidents of unrest.’ Revolution had not yet happened, but on Friday 24th February a huge crowd of workers streamed through the city, filling the Nevsky Prospect and neighbouring squares of St Petersburg, or Petrograd as it was known after the outbreak of the 1914-18 war. Mounted police and Cossacks dispersed the impromptu meetings that gathered in the streets, but the authorities were uncertain, and the street protests grew. Sukhanov, dismissed by the majority who called him an optimist, expected revolution. He was an internationalist, a cool head, a non-ideologue, and a keen observer. ‘In response to [the snipers], crowds of workers and soldiers left no stone unturned in pursuing the police agencies, and caught and beat the “Pharaohs” mercilessly. They grabbed anyone suspected of serving the old regime, and across the city thousands were placed under arrest, justly or not. Processions of these prisoners were marched through the entrance hall [of the palace] to the angry shouts of soldiers and workers. It was this disorder, in my translation from Sukhanov’s Russian, that left a lifelong mark on a then seven-and-half-year-old boy. Here was I walking in the street with my governess (I didn’t go to school in Russia) and saw a man being dragged off by what I can only describe as a ‘lynching bee’ – a mob of men dragging off a man towards an unpleasant fate. He was pale, struggling, his face distorted, terrible. He was in policeman’s uniform; he had probably been sniping. It was a most horrifying spectacle: a man surrounded by people dragging him away to his death. This gave me a horror of violence, physical violence of every kind, for the rest of my life. […] the thing which I remember painfully on that occasion was the fact that there was a man caught by a lynching bee. Let me explain. The only people who remained loyal to the Tsar were the police. That’s not in the books, but it is true. And they sniped at the revolutionaries from roofs or attics and things. And this man was dragged down, obviously, by a crowd, and was being obviously taken to a not very agreeable fate, and I saw this man struggling in the middle of a crowd of about twenty, dragged off. Well, I didn’t realise he was a policeman; I was told that afterwards. But that gave me a permanent horror of physical violence which has remained with me for the rest of my life. Now it’s not only Isaiah’s experience of the soon-to-be-lynched policeman that he carried with him to England, and into political philosophy, where he abhorred violence and set himself against terrorism. It was also the slender hope of Russia becoming a liberal country, which died with the Bolshevik victory five months after Isaiah’s eighth birthday. He also carried with him the scar of the totalitarian system that ruled Soviet Russia for most of the remainder of his life. Out of this fundamental legacy came his life’s work. It was the small coterie of nineteenth-century Russian liberals exemplified by Alexander Herzen in the 1830s and 1840s, the period that the chronicler Annenkov had called nineteenth-century Russia’s ‘Marvellous Decade’, that Isaiah made familiar to anglophone readers. He recalled a time when the Russians he remembered were gratifyingly civilized and a source of moral and political hope. The burden of totalitarianism meanwhile led him to distinguish fundamentally between positive and negative liberty, and to despise the former as an intrusion into personal lives on the part of the state, and to admire the latter as quintessentially tolerant and English. That famous political essay of 1958 was for the duration of the Cold War the finest compliment a Russian emigre could pay to the England that took him in, and, indeed, loved him, and a complete indictment of the Soviet plan to construct ‘the new man’ as a collective-minded human being, prerequisite to the functioning of a socialist society under central control. The fault of ‘Two Concepts of Liberty’ was only that it was at heart too personal, as was the restricted portrait of Russian Thinkers. Individuals can and surely want to aspire to self-reforming goals to lead satisfying lives. They want, like Nietzsche, to overcome themselves, and that whole manner of aspiration would fall under an idea of ‘positive liberty’ — the freedom we create through self-knowledge, and determination, indeed, with the accent on creativity. Russian thought meanwhile included men of mystical and religious tendencies which, then as now, feed into Russian national identity and help keep that country on a distinctly illiberal path; and while liberal minds might not want to encourage such anti-enlightenment tendencies, the historian can’t ignore them. Now it strikes me that all this is at once the story of Isaiah and the Policeman and also the story of his life. Just as a side issue: we met. He helped encourage my interest in Russian thought. 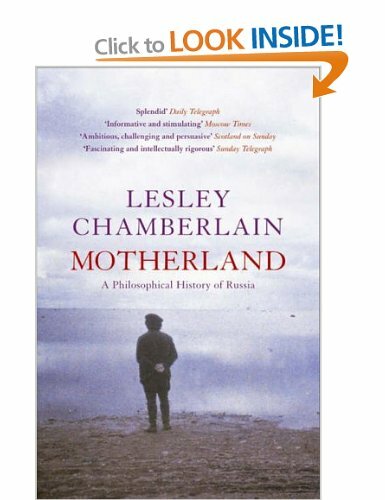 This entry was posted in Philosophy and Philosophers, Russia, Writing and tagged books, philosophy, Russia, writing. Bookmark the permalink.